To my nose, this is an elegant, linear perfume showcasing iris in an ethereal, dreamlike composition. It is streamlined and simple, not junky and cluttered. I find Infusion d'Iris to be extremely feminine, and while it is very clean and fresh, it does not fit at all into any of the current hygiene fads. This is not a shampoo-conditioner frag, nor does it smell anything like cleaning or laundry products. And yet it really is super clean. I would compare the texture to that of a swath of soft linen cloth. It seems white somehow to me, giving off a sort of shimmering celestial aura. Like sunlight shining through a cloud. Or powdery snow sparkling on a mountaintop. Infusion d'Iris is a tranquil, peaceful perfume featuring, as advertised, iris, but also a bit of neroli. These floral notes are lusciously ensconced in a supportive benzoin-cedar layer which lasts a luxuriously long time on my skin. Although Infusion d'Iris is clean, it is also ever-so-slightly sweet, and the incense note is so measured—compared to other incense perfumes I've tested of late—that this fragrance ends up being far more floral than oriental. It is certainly not overwhelmingly floral, but that's the closest category to which this sui generis composition can be said to belong, it seems to me. After testing Infusion d'Iris from a decant generously provided to me by a fellow fragrance traveler, I ended up receiving a large bottle (200ml) in a swap with a wonderful woman from Romania who did not like it at all and was happy to have it taken off her hands—as was I to get rid of the bottles she received in exchange. All of which demonstrates, once again, the beauty of swapping, and the wisdom of the adage One perfumista's trash is another one's treasure. There does appear to be a fair amount of disagreement about this perfume, so only your own nose can say whether it will be right for you. It is definitely not like anything else on the market today—well, except the other two members of this trio—happily, for those of us who like it! This perfume, first of all, is misnamed. It is not an infusion of men; it is, like Infusion d'Iris, a composition around iris. The name Infusion d'Homme makes it sound as though this must be one of Jean-Baptiste Grenouille's creations—only commencing not from red-haired nubile young maidens but from hot metrosexual males. But enough quibbling about the name and the need for the staffers at Prada to brush up on their French. Infusion d'Homme is splendid! What a delightful, clean, woody-incensey-iris composition this is! If the truth be told, I might even like this creation more than the original Infusion d'Iris (that's right: infusion of iris, not infusion of woman!). Unlike the first Infusion, which is not soapy at all—although both benzoin and cedar are present in that composition as well—this made-for-men version really is rather soapy, especially in the drydown, where skin chemistry is going to make or break the fragrance for any given wearer. The soap here is definitely not sharp, as in White Linen or Chanel no 5 (or white Dial! ), which I happen to love, but lots of people do not. Still, it is important to remember that soap notes which smell splendid on some skins end up slightly acrid or even rank on others, so only a direct spritz on your very own body and a full day's wear will make it possible to determine whether Infusion d'Homme is right for you—whether you happen to be a man or a woman. This is absolutely a unisex fragrance, in my view. Anyone who is approaching this fragrance for the very first time needs to bear in mind that Infusion d'Homme is not your average men's cologne. It's certainly not aquatic, and it's certainly not citrus. It is not metallic, and it really smells nothing whatsoever like stereotypical men's fragrances. When I myself first sprayed on Infusion d'Homme, I was quite surprised, above all, because of its soapy yet Infusion d'Iris-esque drydown. I do not have any previous experience with soapy made-for-men colognes. It may well be that they do exist, but I have yet to run into any... In any case, the important point is simply this: I'd be a happy gal indeed to smell this on the men around me. 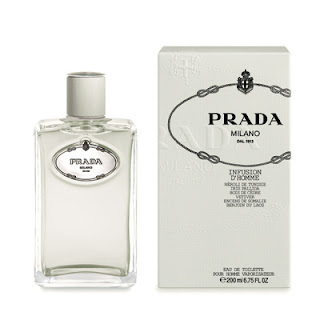 Or...on me—which is why I acquired a large bottle of this one as well (200ml). I'm sorry to gush so much, but honestly, to me, this stuff just smells great. Now, I certainly do not want to tell anyone else what to buy, because our tastes and preferences and worldviews and everything else differ so much, but please grant me the liberty to step up to the podium on behalf of at least some of the women of the world who are not hyposmic and may even be hyperosmic to certain aromachemicals. Some of you gentlemen may well be wondering, What do the ladies think? Should I wear this juice? To all of the gents who have been perplexed about this very question, whether they should don Infusion d'Homme in our fair presence, my answer is: Yes, Yes, emphatically Yes!!! Still, I do recognize that not all men are interested in becoming chic magnets, and some may even care less than zero about my own idiosyncratic tastes, in particular. Suffice it here simply to reiterate that, given the marked soap note, this is definitely a try before you buy, for guys and gals alike. Although some reviewers have complained about what they perceive to be the low level of iris in this composition, I am of the considered opinion that a smidgeon more florality would have put this over the fine line demarcating unisex from feminine perfumes. So I personally think that it was a good call on the part of the perfumer. All in all, in addition to being totally wearable by women, Infusion d'Homme offers a new avenue for men, at least those who are prepared to boldly go where men's colognes have not, to my knowledge, gone before. Again, I generally steer clear of such prescriptions, but were I to issue a sweeping normative claim at this juncture, it would in all likelihood take the following general form: Please do not avoid!!!! 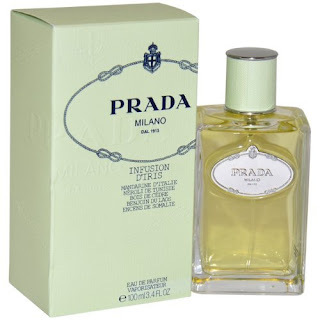 When I first learned of Prada Infusion d'Iris edt, my reaction was: Why? Who wants a weaker version of the beautiful edp? But then when I happened to encounter by chance the box on a counter and saw that the notes were different—and included one of my favorite flowers, violet, along with heliotrope as well—I became excited by the prospect of a tweaked version of a perfume beloved to me in both the original edp and the men's closely related edt. I was reminded immediately of Chanel Allure, the edt and edp of which are different compositions, but both of which I wore a fair volume of during the twentieth and early twenty-first century. I do think that the edt is not all that empirically different from the edp—again, at least not in the altered state of equanimity induced by spraying either of these perfumes on my skin. (Each is a great choice for bedtime, by the way...) Yes, the edt is slightly less green and less woody, and just a touch sweeter, but the soft blanket of iris florality strikes me as very much the same. The violets and heliotrope blend seamlessly with the iris in the edt to sweeten the linen-like layer. They may impart just a tinge of purple, too, but not one that can be perceived except by direct contrast to pure white. Overall, I'd say that these creations lie in a continuum from the edt to the edp to the Infusion d'Homme, the latter of which is not only more woody, with a decent dose of vetiver along with the cedar, but also quite soapy. The two made-for-women versions, in contrast, are more "flocculent" or "fluffy" and not at all soapy to my nose. I find the sillage and longevity to be very good in all three versions. I am obviously fond of these Infusions and am happy that Prada came up with such a nice cluster of iris-focused fragrances unlike any others I've encountered. They have carved out a distinct niche in a crowded corner and so far there have been no imitators—at least not to my knowledge! There is clearly a consistent aesthetic across this trio, and for that reason, I suspect that people who love one will probably love all three. Consider the following questions: Do you like to smell clean but not like cleaning products or shampoo? Do you love flowers but prefer not to smell like a bouquet or a corsage? Are you glad that the 1980s are over? If your answers are Yes, Yes, and Yes, then these Infusions may work for you. On the other hand, anyone who is bored by one of these creations (not sweaty enough, not dirty enough, not loud enough, not complex enough...) will likely be bored by all three. In the end, I recommend that everyone give these creations a sniff and decide for themselves: only your very own nose knows!!! !